Final Buyer’s Birthday Dress Choice! 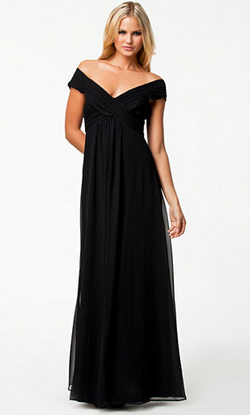 So it’s down to the final buyer’s birthday dress! The top three were so hard to choose, but here is my final choice. Drum roll please…! The NLY Luna Dress Black! Now I know that this is not a generic clubbing dress but I wanted an option that was a little different, a little out there. Pairing the luna black, with converse or even normal trainers, and lots of gold jewellery, I can make the dress casual but quirky enough for my birthday. I might plait my hair and add red lipstick for a real out of there look. What I love about this dress is that it could easily be worn as a ball gown, but that’s not the direction I’m going for. I can definitely see myself on the dance floor twirling around and fluffing out the skirt’s layers in time to the beat while my gold hoops swing away! Posted November 19th, 2013 in Dress of the Week, Uncategorized. Tagged: ball dress, Ball dresses, Ball gowns, black dresses, Cocktail dress, cocktail dresses, Designer dress, designer dress hire, Designer dresses, Dress Hire, dress of the week, Dresses, Evening Dresses, Girl Meets Dress, hire celebrity dresses, hire cocktail dresses, Hire dresses, long dresses, NLY, party dresses, rent celebrity dresses, Rent designer dresses, rent dresses.